Hi-Temp has been servicing the hospitality, resources, construction, and domestic and commercial building sectors with trusted, high-quality air conditioning and refrigeration repairs since 1998. We now run a comprehensive after-sales service that takes care of all repairs and upgrades, with 24-hour emergency breakdown support and a preventative maintenance program. 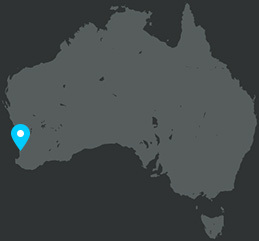 Looking for refrigeration or air conditioning repairs in Perth or regional Western Australia? Contact us today. Our service vehicles are fully-stocked with the all the necessary equipment and tools to perform repair jobs on-site at your location, minimising on downtime for your business due to lengthy repair processes. When it comes to air conditioning, Hi-Temp has worked with every type of system on the market. We are confident in our ability to restore your unit to its original specification and output capacity, with a well-trained team of technicians that operate under government regulation. This includes evap (evaporation) cooler service and repairs in the form of both changeover and replacement of vital components or the entire system. As an extended service that saves our clients heaps of cash, we offer the opportunity to upgrade outdated air conditioning systems that no longer perform at their full potential. This is a welcomed alternative to expensive replacements, with the ability to remove old indoor and outdoor units and work with original duct pipes and outlets. Commercial refrigeration systems play a vital role in keeping products fresh and ready for consumption from the millions of people buying groceries on a daily basis. The large-scale application of these units makes entire systems vulnerable, putting product (in this case revenue) at risk of contamination and expiration before it is sold. Hi-Temp is a specialist in the repair of a wide range of commercial refrigeration systems, with years of successful jobs under the belt. We repair all makes and models of all commercial refrigeration equipment including chillers, display cabinets, Ice machines, Ice- cream machines, slushie machines and cold storage systems. Our technicians are all licensed with the Australian Refrigeration Council (ARC) and have extensive experience in assessing faults and attending to problems on-site and with speed. We also offer a 24/7 emergency breakdown service that caters for our clients when they need us most. We are well aware of the fact that food and beverage outlets operate after normal working hours and often well into the night. We’ll ensure that your equipment is running effectively and reliably at all times. We also have experience in the servicing of ice machines, and will ensure that your customers are always a scoop away from their favourite delight. Hi-Temp provides professional air conditioning and commercial refrigeration repairs in Western Australia, with round-the-clock emergency assistance. Looking for help? Give us a call on (08) 9248 2809 or make use of our Contact Form. Alternatively, send us an e-mail and we’ll be at the top of your inbox in no time.